Blog By Law, Should Your Child Sit in the Back Seat? By Law, Should Your Child Sit in the Back Seat? Let’s take a look at where children should be sitting when travelling in a car. We know as parents and careers, we all want the best for our children and that means ensuring they are as safe as possible when travelling. But should your child sit in the back seat by law, and where do experts say they will be safest in the event of a crash? Here we will give you and answer to the question “by law, does a child need to be in the back or front when travelling in a car?” and we will also give you information about the safest options for your child! Firstly, why is a booster seat important? It is recommended that children remain in their 5-point harness seat until they reach the maximum weight capacity for it, and only then should they begin to use a car booster seat like the BubbleBum foldable booster seat. It’s important to remember that a car’s existing seats, are designed for adults and will position the seatbelt correctly across the adult’s body. This is not the case for a child and in order to ensure optimal belt-fit, children should always be on a booster seat or car seat. By law, is it required that your child sit in the back seat? In the USA just a few states have laws requiring that your child sit in the back seat, and those that do only require this until the age of eight. Therefore in most cases, if your child is travelling in the front of the car you are NOT breaking the law. Having said that, whether they are sitting in the front or the back of the car, legally your child must be seated on an appropriate car seat for their height and weight whether that is a 5-point harness or a booster seat. Safety experts almost universally agree that the back seat is the safest place for children to travel. However, if there is no alternative, children can LEGALLY travel in the front seat. If placing a rear-facing 5-point harness seat in the front passenger seat of the car, you MUST deactivate the dashboard airbag as this could cause serious injury to the child in the event of a crash. Children’s bones are still developing and are not as strong as adults. In addition infants heads are disproportionately large in relation to the rest of their body, This makes it hard for them to support their neck when an airbag is deployed, as this happens so forcefully, and at up to 160kmh. With this information many parents prefer their children to travel in the back seat of the car, where any airbags are likely to be ‘curtain’ airbags, which deploy from the top of the car and in a much less powerful fashion than standard airbags. We hope you have found this brief summary useful. 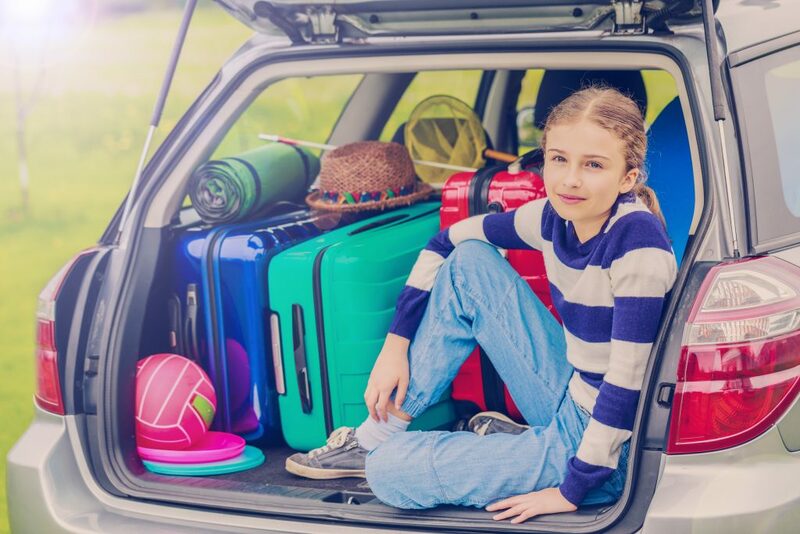 If you would like more information on the subject of children’s care seat, and child safety when travelling by car, we are glad to recommend these resources.